What happened to you? Did you run here? Tick, tick, tick. 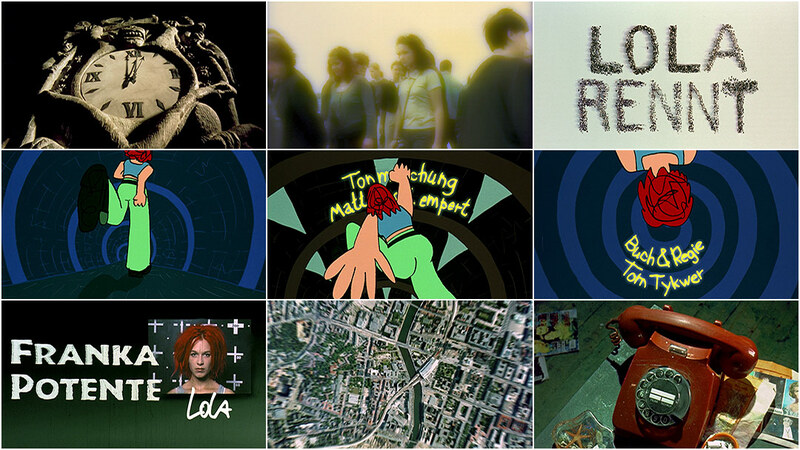 The opening sequence of Tom Tykwer’s Run Lola Run is an experiment in choice, in allowing editing and style to speak: gritty, brisk, and bold. It plays out in four acts: horror, thriller, cartoon, and crime. First, we encounter time itself. A grimacing pendulum that sweeps credits into and out of sight – relentless, staring – until, mercifully, we are swallowed up and transported into a crowd. Wandering, faceless, lost among our questions and lead by the narrator through the multitude, we encounter a security guard, who neatly parallels life, and the film, with a game of soccer. The ball is round. We’re booted above the throng and, at the vertex of our ascent, presented with a view of the film’s title, LOLA RENNT, composed entirely of extras. Next, we encounter Lola. She’s a cartoon, being gulped down by monsters, punching her way through credits, racing tirelessly against the clock, until she is caught in a whirlpool and flushed into the next act. The shutter goes off, and Lola is reified in a mugshot, identified along with her co-stars, the sounds of prison doors punctuating each name. With a long zoom, we exit into the film, heading straight for Lola’s ringing telephone – and a moment of truth. Tykwer’s decision to explore multiple modes echoes the film’s exploration of possibility and potential – of manifold destiny. 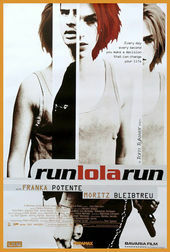 Lola’s repeated struggles against the tyranny of time produce dramatic ripples, every stride a choice, and where this sequence really shines is in its willingness to examine those choices and embrace a multifarious vision.